Cushing Memorial Park - Framingham, MA. 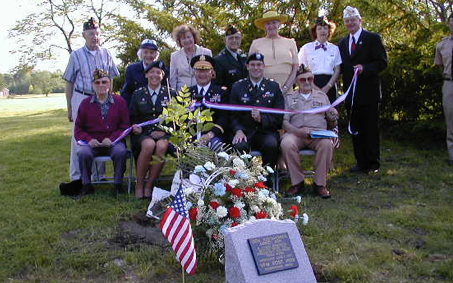 General Eisenhower Tree Dedication. Seeded from the General’s boyhood home in Denison Texas. takes a behind the scenes look at downtown America, of folks that deserve to be recognized for their educational, historical and entertaining qualities, that do not necessarily share the popular spotlight.-- ceremonies, dedications, interviews of patriotic endeavors - the people that are deserving and that “get it done”. Come back often for exciting unique videos.